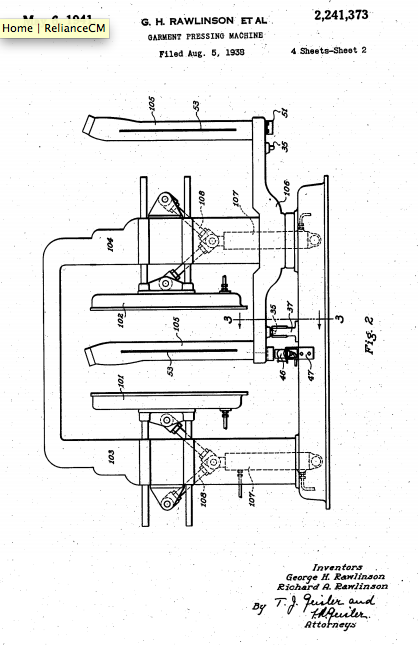 As far back as the 30’s the Rawlinson family has been pushing the innovation envelope. 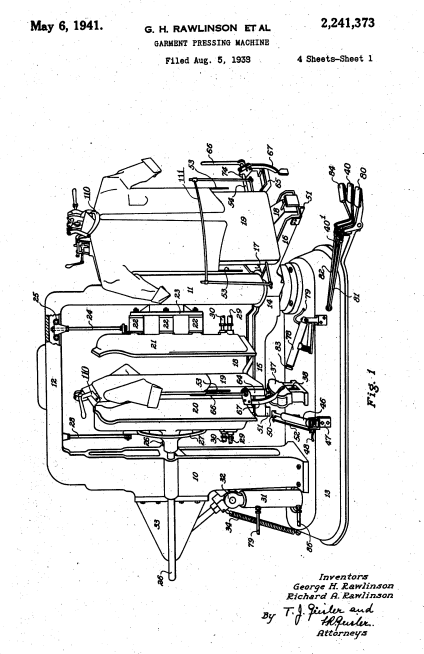 George H. Rawlinson filed a series of patents for garment pressing machines during the pre-WWII era. 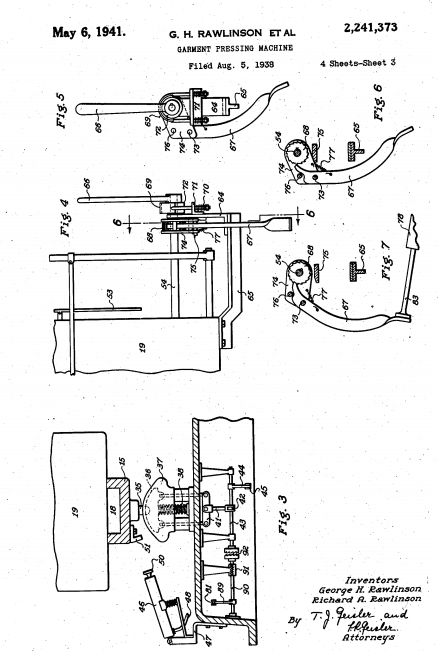 The nitty gritty details can be seen here, here, here and here (now that’s a LOT of detail), but what is really fantastic are the detailed drawings that accompanied the filed patents. Check out some of these “snapshots” into New System’s history.